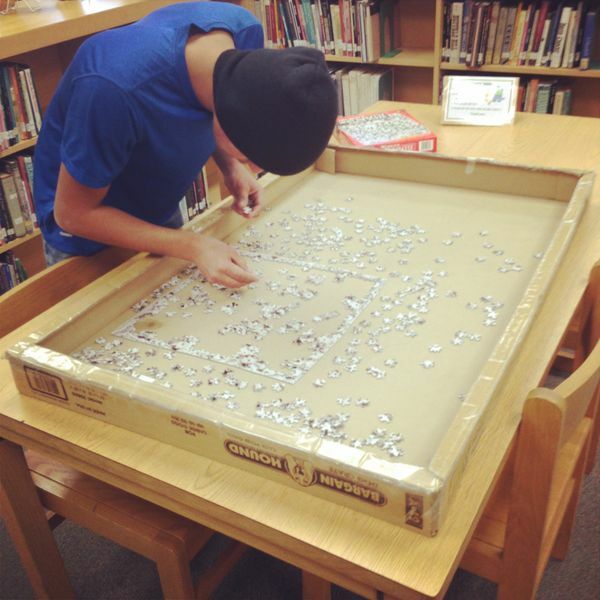 This student is helping solve the current puzzle in the library that consists of about 100 dalmatians and is quite possibly the most difficult puzzle I've ever seen! That difficulty didn't stop this young man from working hard for about 20 minutes. Props to him!